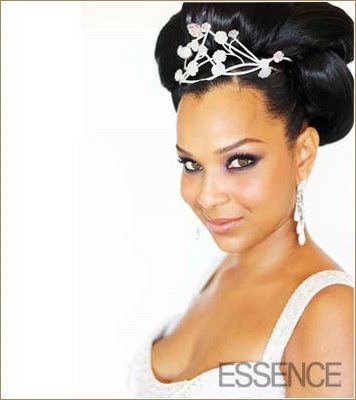 When choosing a suitable wedding hairstyles, a bride needs to consider her gown, veil and headpiece. 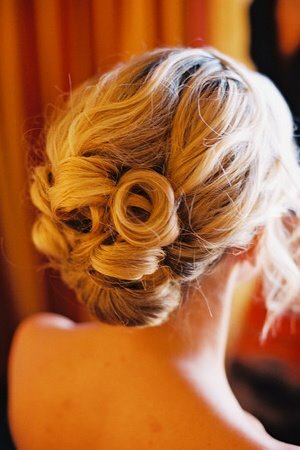 The wedding hairstyles should never compete with the gown; it should not obscure the gown in any way, especially when the bride moves. 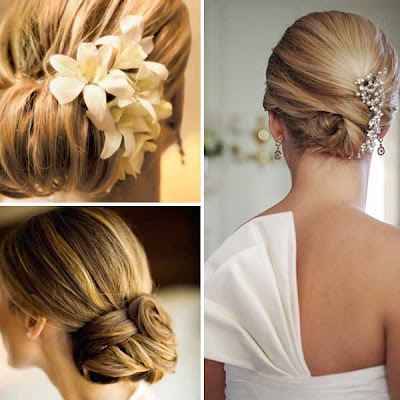 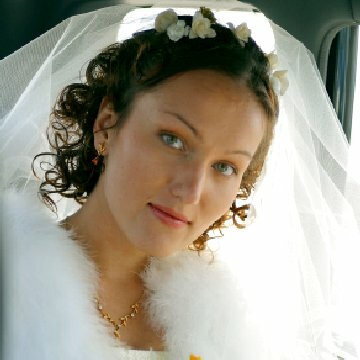 The wedding hairstyles should also complement the bride's makeup. 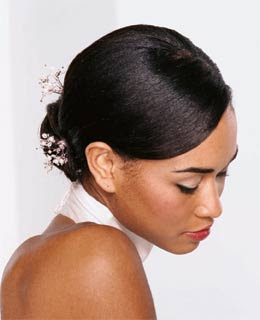 As with the gown, the wedding hairstyles should not take any attention away from the bride's face.